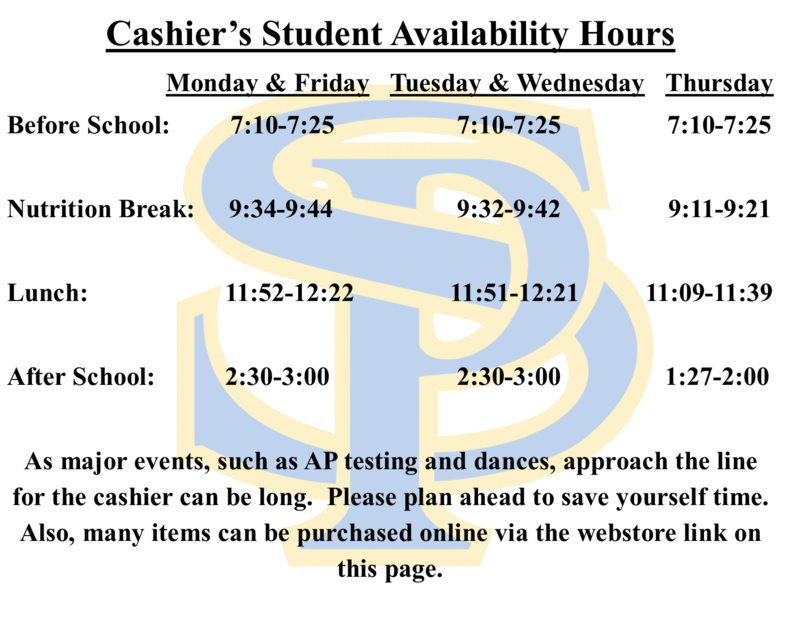 The San Pasqual High School Cashier's Office is where students and parents go to pay all fees associated with the ASB. Purchasing tickets to dances, returning fundraiser money or buying SP related items and spirit wear, along with many other things, can all be done here. The SPHS Cashier also doubles as the Athletic Secretary and is the point of contact for many student information items. Because of that, the Cashier's Office is also where students turn in their Athletic Clearance Packet, parking permit applications and purchase AP Tests.